Size 3 1/3 in. L. x 2 1/4 in. 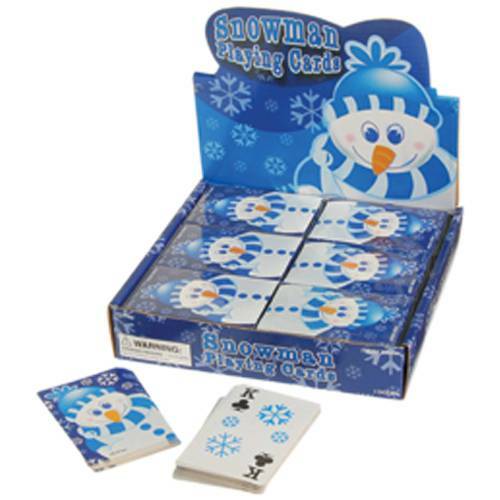 W.
Curb the cabin fever this winter with these colorful snowman playing cards. 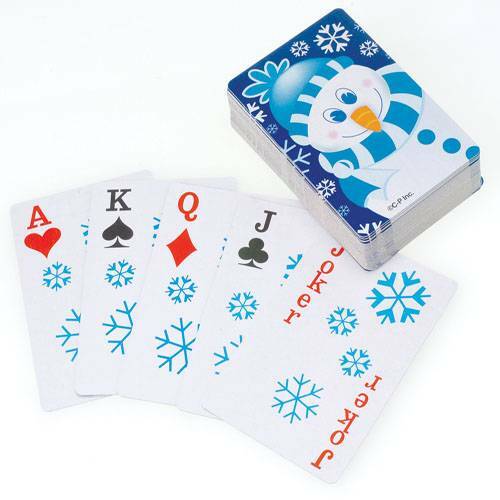 Declare war, go fish, or play a friendly round of holiday poker with these playing cards. Featuring an exclusive winter design, these cards are a great addition to your holiday event. 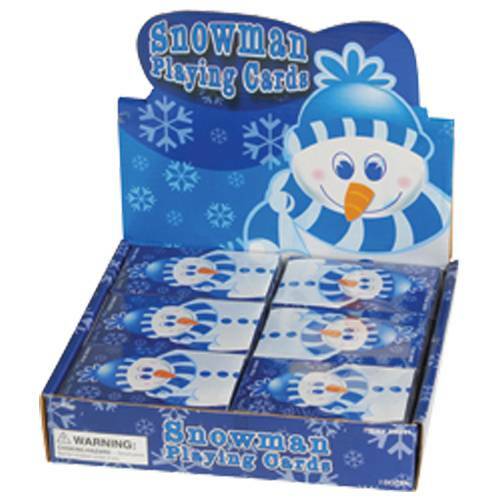 A great way for adults and children to pass the time, there are so many games to play with these cards or simply invent new ones. Each deck is of standard size with 54 cards.